Great product. Works so much better than all of these “new” antihistamines that are non-sedating. 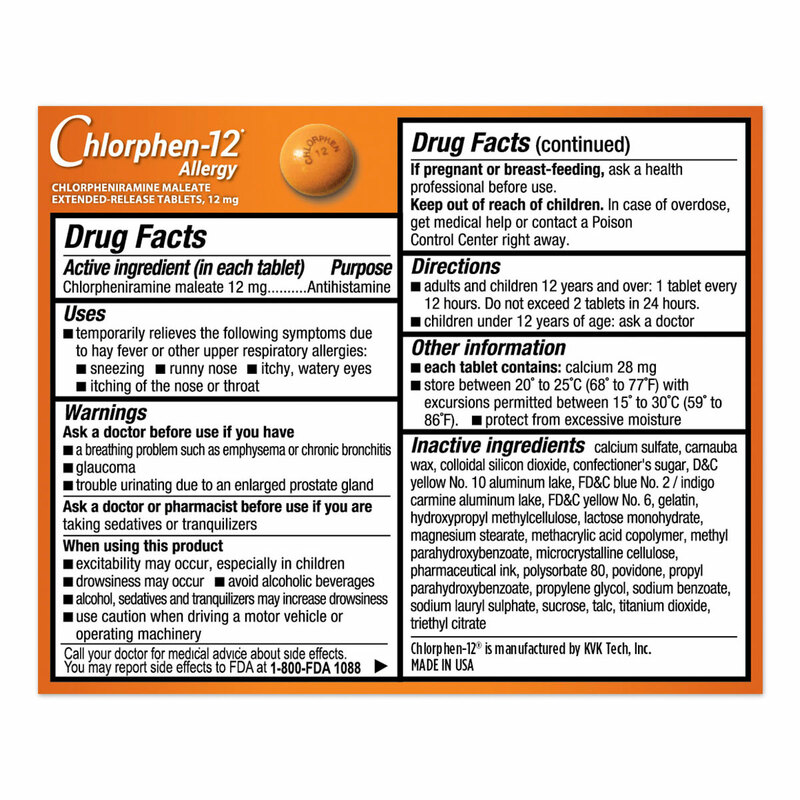 Product is way less drowsy than Benadryl and more effective then the rest. Delivery was fast and FREE! I have been taking this product for years and is the best for me. It is the only thing that stops the nasal drips in the morning. 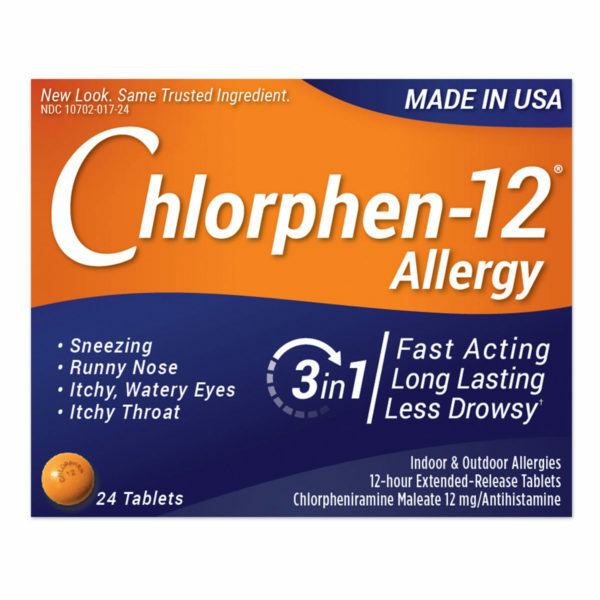 Chlorpheniramine maleate is the best allergy medication I’ve encountered, after a long period of ineffective prescription antihistamines and a few other over-the-counter pills that simply didn’t work. It’s a first-generation alkylamine and unlike many others from that generation, it causes much less drowsiness. Still, it can cause drowsiness for some people, so try it out over a weekend when you’ve got nowhere to go, and make sure it’s not going to knock you out. Personally, I never have any of this drowsiness, but you should be careful taking any new medication. You should be aware that drugs related to this have been used as both sleep aids and antidepressants. 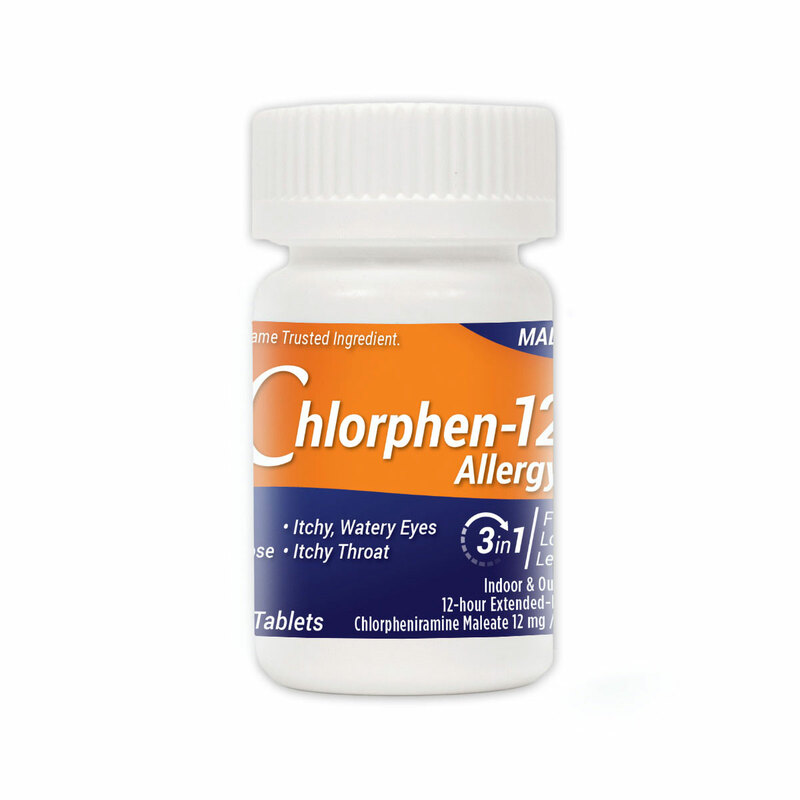 Chlorpheniramine maleate can affect your nervous system in unexpected ways, and all antihistamines can have odd side effects. There seems to be a strong genetic component to how different people react to different antihistamines. Some have seemingly no effect on certain people’s allergies. Others have side effects. Lucky for me, Chlorpheniramine maleate is pretty much a miracle cure for my allergies without any problems. Newer antihistamines, I think, were developed with a greater focus on reducing side effects, or reducing drowsiness that some older antihistamines are known for. Consequently, I think some of the newer pills don’t work quite as well at what they’re supposed to do, eliminate allergic reactions. They’re also made to be more generalized, I think, working okay for everyone, but not as great as more specialized pills for certain people. Like I said, there’s a strong genetic component to how people react to antihistamines, but I think the newer meds end up being weaker, and perhaps more susceptible to people building up a tolerance so they stop working. It’s a trade-off, I guess, if you react poorly to older allergy medications. All this to say, this is an old drug. It does one thing and does it well, but there may be some side effects going along with that, for some people. It’s pretty cheap. It doesn’t try to solve an old problem in a new way, it solves an old problem in a way that’s stood up to the test of time. It doesn’t have a huge marketing budget behind it, and the brand name has mostly been forced out of the market by newer pills. But this generic stuff is just as good, works great for me, and may work great for you. If some of the newer pills don’t work well for you, this is definitely worth a try. You may also want to talk to your doctor. Some people said they were getting bottles expiring in December. For the record, I ordered in October 2012, and my bottle is going to expire in April 2014. Perhaps they’ve gotten a new batch in. 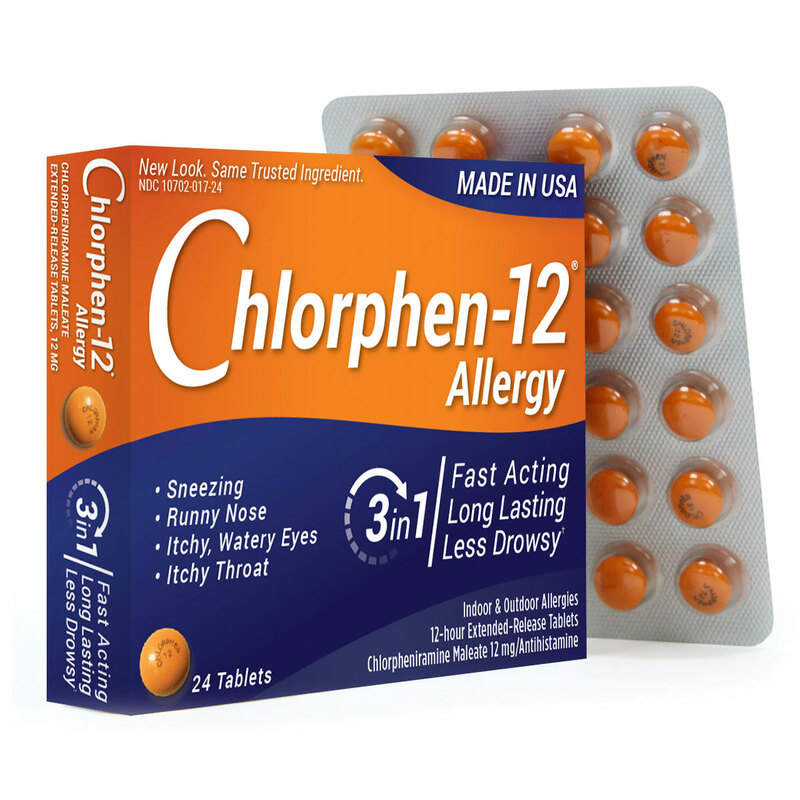 I was so glad to find this generic of Chlortrimeton 12 hour, which has disappeared recently and is apparently no longer produced due to the popularity of Claritin and Zyrtec and their generics – which do nothing for me. Benedryl is fine, but doesn’t last long. This is the only extended release antihistimine that I have been able to find lately. This product is an excellent timed-release antihistimine, providing long-lasting allergy relief without any unneccessary additional ingredients such as decongestants which raise blood pressure. 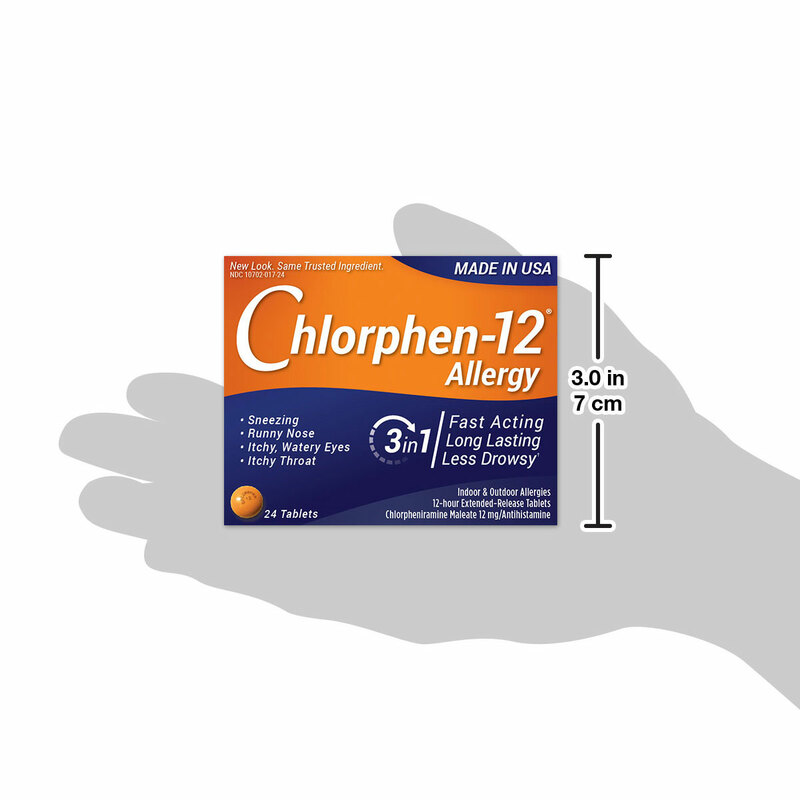 I use it twice a day, morning and bedtime, for my hay fever type allergies, and I even give one daily to my 35lb beagle for her itching allergies with no problem, and the extended effectiveness is a blessing. I would strongly recommend checking with your vet before giving it to your dog, though, because my dog has had to take antihistimines since she was a puppy and therefore has a higher tolerance. Antihistimines can have a sedative effect – you don’t want to OD your beloved pet!